« Rocket Bunny TRA KYOTO x GT86 x 2JZ-GTE = Full of Win! Damn, props to Mr. Mark Arcenal of Fatlace/ILLest on probably one of the dopest collabs they’ve done as of late. 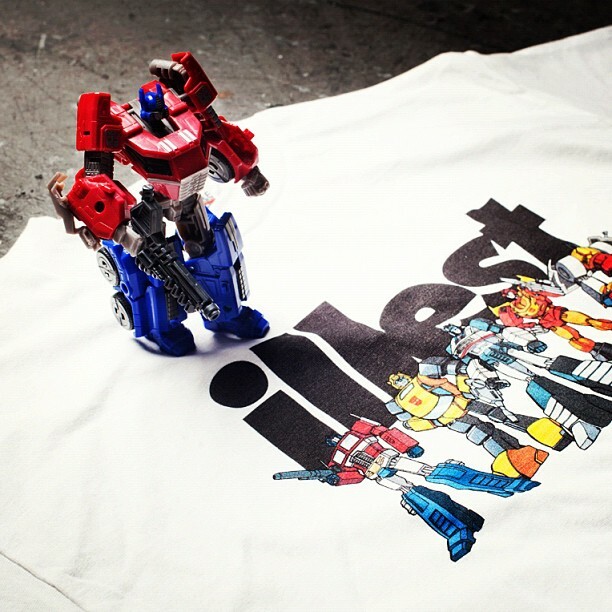 A collabo between ILLest and Hasbro-Transformers. Definitely moving up in the game! This entry was posted on August 22, 2012 at 6:15 PM and is filed under Cars, Fashion with tags Bumblebee, Fatlace, Grimlock, Hot Rod, illest, Jazz, Mark Arecenal, Optimus Prime, Transformers. You can follow any responses to this entry through the RSS 2.0 feed. You can leave a response, or trackback from your own site.